The wireless and flexible chime system with multiple opportunities for extension. 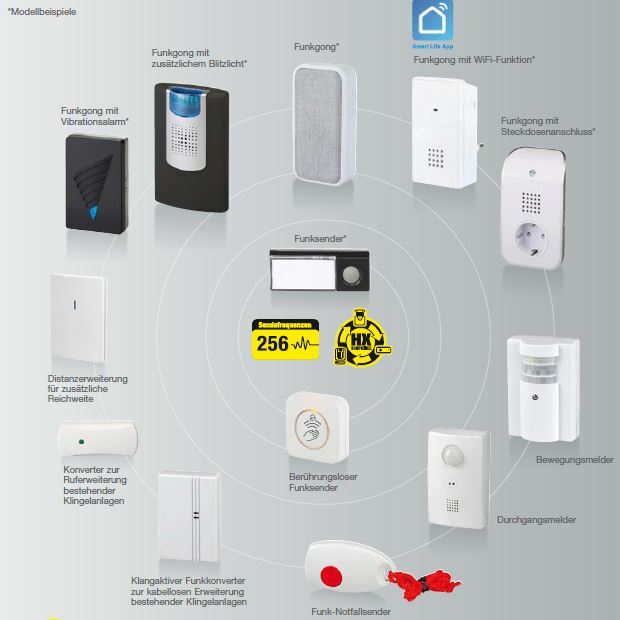 The HEIDEMANN® series HX offers a variety of applications and opportunities for Extension: as an additional chime for a side entrances or the granny-flat, as a motion detector, for window and door control, as a flexible device in the backyard and the crafts room, or as an extension of an existing bell system. Every basic wireless chime set includes a bell push button as a transmitter and a chime as a receiver. In the new generation of devices, a maximum of four Transmitters and a random number of receivers can be connected with each other. All HX-receivers, motion detectors, and transmitters can be connected and extended with each other.